"Nurses should achieve higher levels of education and training through an improved education system that promotes seamless academic progression." The San Jose State Valley Foundation School of Nursing offers a Master of Science, Nursing, concentration in Family Nurse Practitioner (FNP). The program focuses on the theoretical and scientific bases for the diagnosis and treatment of common illness, as well as health teaching, counseling and preventive services. Emphasis is placed upon advanced clinical skills, including history-taking and physical examination, health screening, management of common illness, and techniques of prevention and risk reduction. Join us for Graduate Program Advising. The FNP program includes core courses which focus on theoretical/conceptual foundations, evidence-based nursing practice, leadership and policy/advocacy issues in professional nursing. The curriculum focuses on the theory and practice of advanced practice nursing care in primary (and some secondary) settings. The majority of coursework is offered one day a week using a hybrid format. Students have a three-semester clinical preceptorship which will include primary/adult care, geriatrics, pediatrics, and women’s health. Computer and internet literacy is required. 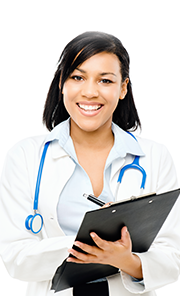 (ANCC) FNP exam or the American Academy of Nurse Practitioner (AANP) exam. Nurse practitioners are in increasingly high demand due to changes in the health care system resulting from the Affordable Care Act. According to the American Nurses Association, approximately 60 - 80% of primary and preventive care can be performed by nurse practitioners. The growing emphasis on prevention and public health will offer excellent job opportunities for FNP in the coming years. Formal admission to San José State office of graduate studies as well as the Valley Foundation School of Nursing is required for entry into the program. The program is offered as a full-time cohort model with admission each fall semester. The next family nurse practitioner graduate program will start in fall 2019. Apply to the San José State University office of graduate studies with a declared objective of Master of Science, Family Nurse Practitioner concentration Cal State Apply Applications will be accepted October 1, 2018 through March 1, 2019. Applicants must send a copy of official transcripts to the Graduate Assessment Evaluation Program (GAPE). Copy of Public Health Nursing Certificate if applicant has one. Once students are formally accepted into the family nurse practitioner program, additional health documentation will required which is administered through a third party document tracker. A non-refundable $250 program fee will also be assessed. *Note: Calstate Apply, NursingCas, and third party document trackers have additional fees.